- The US Dollar’s bullish trend has finally found some resistance off of the 97.50 level, and this was helped in-part by a speech from FOMC Chair, Jerome Powell yesterday. In that speech, Mr. Powell shared a differing view on the Fed’s proximity to the neutral rate than what was heard in early-October. On October 3rd, right as US equities topped, Mr. Powell said that the neutral rate was ‘a long way’ off. But yesterday – he said that the Fed was ‘just under’ this rate, implying a less-hawkish view towards future rate policy. This helped to push the US Dollar back-down while stocks caught a bid that held into yesterday’s close. 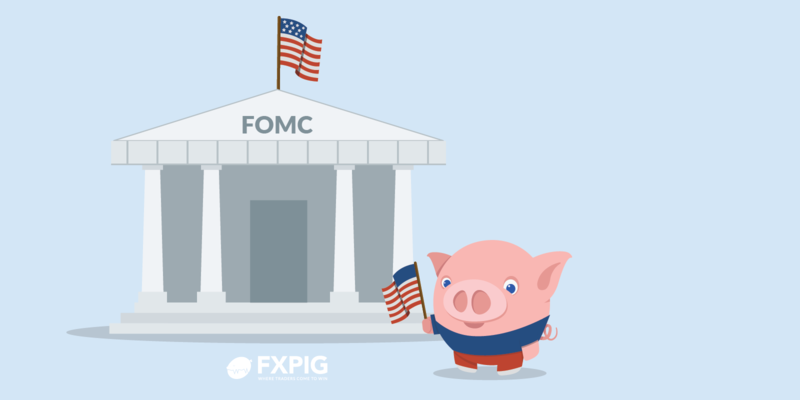 - FOMC drivers are not yet done for the week, as today’s economic calendar brings FOMC meeting minutes from the November 8th rate decision to markets. This was another pressure point for the risk trade, as that meeting earlier this month helped to stop the US equity recovery dead in its tracks, and stocks sold off for much of the next two weeks and change. But as we opened this week, a bit of support started to show and bulls were able to push higher yesterday around the Powell speech. The big question at this point is whether that optimism can continue, and in the Dow Jones, the level around 25,500 seems to be key for acknowledgement of such a theme. Yesterday saw a notable move across global markets on the heels of a speech from FOMC Chair, Jerome Powell. While the changes in his speech were subtle, the moves across markets were far more noticeable as a building pressure point found a bit of relief. In early-October, Jerome Powell said that the bank was ‘a long way’ from the neutral rate; which is the interest rate that is neither stimulus nor restrictive. This alluded to the potential for as many as three rate hikes in 2019; and in short order US stocks had taken a turn for the worse and continued to sell-off for the bulk of October. While themes of Brexit, the Italian budget and trade wars were largely shrugged off throughout this summer, it was this speech from Jerome Powell and the prospect of a very hawkish Fed into 2019 that seemed to really strike fear in market participants. But in yesterday’s speech, Jerome Powell said that the Fed was ‘just under’ the neutral rate, implying a softened stance from the speech that we heard just seven weeks ago. This provided a bit of relief to the risk-aversion that had started to show over the past few weeks, and in short order the US Dollar had dropped, stocks had ripped-higher and even the Japanese Yen got in on the action, weakening against the Euro, Aussie and New Zealand Dollars. In the US Dollar, prices posed a quick fall down to a key area of support. This is derived from the trend-line that’s been in-play since the Fed’s September rate hike, and last produced a support bounce a week ago. That trend-line helped prices bounce back-up to the 97.00 level, at which point some sellers came back in.